cvcoffee.com. 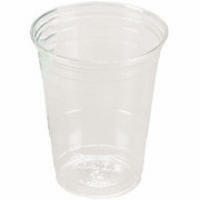 16 oz Cold Cup - 50 count Sleeve - Great Value! Name: 16 oz Cold Cup - 50 count Sleeve - Great Value! 16 oz Plastic Cold Cup. Nice cup that is great for cold drinks. Surprising value for the price, we searched long and hard to bring this product to you, another customer request. Perfect for water, soda or other beverages.